Your homeowners policy might not cover stolen jewelry. 3. What Does Replacement Homeowners Insurance Pay for in a Claim? According to a report in the New York Times, the vast majority of insurance claims relating to jewelry are for theft or "mysterious loss." Most claims don't result in full replacement value, however, because owners make assumptions about their policies that aren't accurate. Insurance usually pays only a limited amount unless you have a special policy or have added coverage to your homeowners insurance. Many people insure their valuables, such as jewelry, on their homeowners policy, but this has some significant disadvantages. Your homeowners insurance only covers jewelry that's in your home. If you're traveling and it's stolen from your hotel room, or if you're mugged on the street, lost valuables are not usually covered. Worse, your homeowners insurance may only cover the contents of your home up to 50 percent of your property's value. For example, if your home is insured for $350,000, you probably have $175,000 in coverage for its contents. This is a general umbrella, however, and many insurers place limits on specific items – such as jewelry. The limit might be only $1,000, so if a $10,000 ring is stolen, your claim will only recoup 10 percent of its value, assuming the theft occurs in your home. If not, you probably have no coverage at all. It's possible to increase coverage on your homeowners policy if you want to make sure your jewelry is fully covered in the event your home is robbed. If you add a rider and schedule your jewelry – listing it piece by piece – its value is fully covered if its stolen, or even if you lose your ring down the bathroom drain. Riders aren't limited to theft; they typically cover any potential loss. 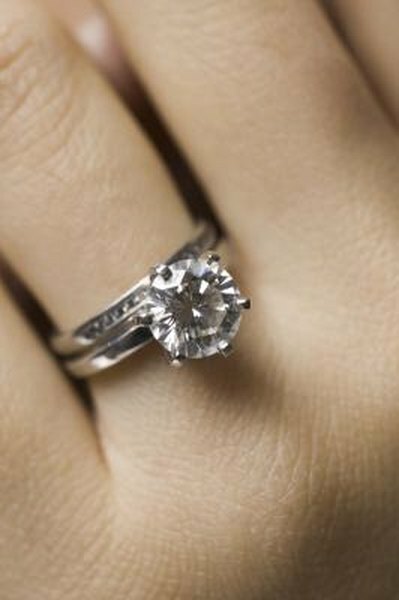 You may have to have each item appraised, particularly if you purchased your jewelry some time ago. For newer items, you can usually submit the purchase receipt if the receipt is detailed enough. The value of jewelry isn't stagnant. Your items may increase in value over the years as the price of gold and silver and even gems rises. Even if you add a rider to your homeowners policy, you're only covered for your jewelry's worth at the time you took out the additional coverage and provided an appraisal or receipt. You won't receive its full replacement value unless you periodically increase your coverage. Not everyone owns property or has homeowners insurance, but if you lease your home, your renters insurance should cover your jewelry as well. The coverage is probably just as limited as that of a homeowners insurance policy, however, unless you purchase an additional rider. Another option – even if you just don't want to use your homeowners insurance for coverage – is to purchase a separate policy for your jewelry. This is "standalone" insurance and can cover you in the event of theft, even if the robbery doesn't occur at your home. Kiplinger: Will My Homeowner's Policy Cover My Jewelry? US Insurance Net: Does Homeowners Insurance Cover Stolen Jewelry?